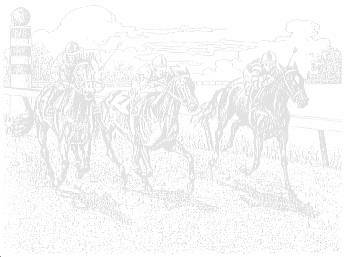 Welcome to the Kentucky Derby & Seabiscuit Collectibles site, your on-line store for all your horse racing memorabilia needs. We offer a variety of items for sale, with prices listed. All items are in like new condition, unless otherwise specified. Please select from the menu below. FONT face=COMIC SANS color=LIME> CLICK HERETO CHECK OUT MY AUCTION FEATURING OVER 20 DIFFERENT SEABISCUIT ITEMS ENDING JAN. 24TH. Pay Securely Through PayPal ! 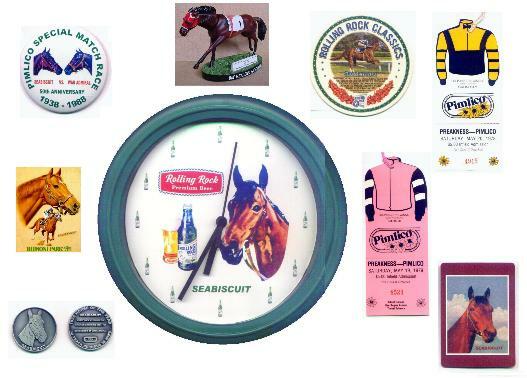 Three time yearly auction of thoroughbred racing collectibles featuring 700 items spanning 11 decades.